Cooler Master, as the name suggests, are the people to go to if you feel that your laptop or MacBook is running a bit too hot. Here we review the NotePal U2 Plus from Cooler Master, and see how it affects the heating on our laptop. 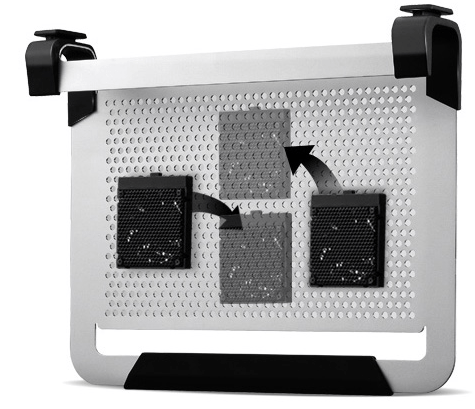 It not only provides a stand for your laptop/MacBook to be raised from the table surface, it also includes a couple of fans at the bottom which help force the air into your device’s vents. 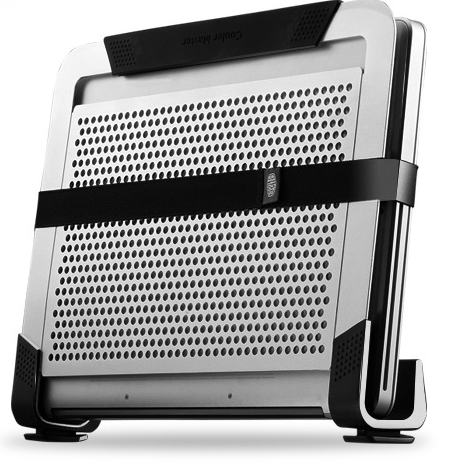 The fans can also be moved around, so that the stand can be adapted to whatever device you have. The fans are powered via a USB port on your device, and the USB port allows you to plug something else in to your device as well. It is very light, and very slim. The case is made of Aluminium, and beautifully finished which means it actually adds to your device’s features rather than make it look any worse. 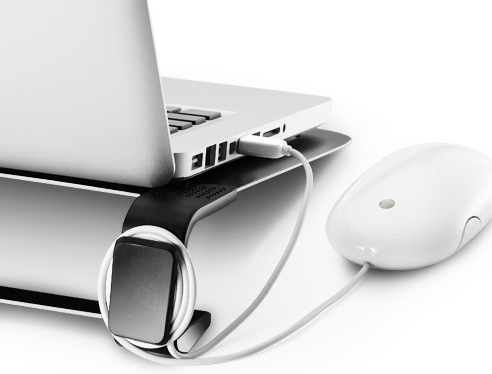 Not only that, but with the provided elastic band and the unique shape of the stand, this can also be used as a laptop stand in case you need to store it away. I have to admit, it looks cool but I haven’t quite found a good use for this quite yet. Yes it does! My laptop generally gets fairly hot, and I have attached a thermometer to the vents of my laptop. I find it works the hottest when playing online videos, such as YouTube, and it goes up to 60 odd degrees easily. With this, the temperature has been reduced to about 47 degrees. You may remember from our review of the Jas Pro, that the Jas Pro actually reduced it to about the same temperature. Why isn’t it any cooler than the Jas Pro? The argument is valid. This has extra fans in it, so it really should run cooler. Well, what this does, which the Jas Pro doesn’t, is force air on to your vents. 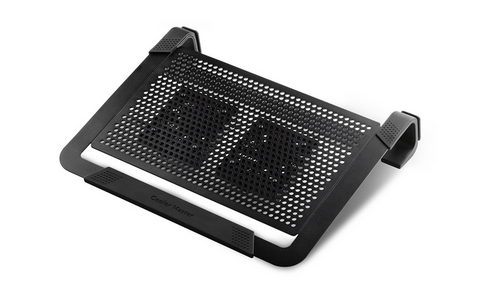 This means that it forces an air flow on to your device, and cools it using those fans. This means that the fans on your own laptop don’t need to work, meaning more life for them, and less clogging up of your vents. It retails for about €24.95. A brilliant device, specially for this price. It works perfectly, and gives you that comfortable bit of cooling that you want from your device.